Advent is a season of expectant waiting and active preparation. We prepare our worship spaces and homes with decorations, we prepare by buying and making gifts to show people how much we love them, we prepare our hearts and lives to once again welcome in the Christ Child. Much like John the Baptist, in the season of Advent we are about the work of “preparing the way of the Lord” (Mark 1:3). Over the past 18 months, we have been in a long season of expectant waiting and active preparation working towards the launch of Pecan Street Mission. What began as a dozen people dreaming around a dinner table in December 2017 will culminate this Advent in the Grand Launch of our new modern worship community. As it turns out, Advent is a fitting time to celebrate the birth of this new faith community anchored in FUMC Decatur. 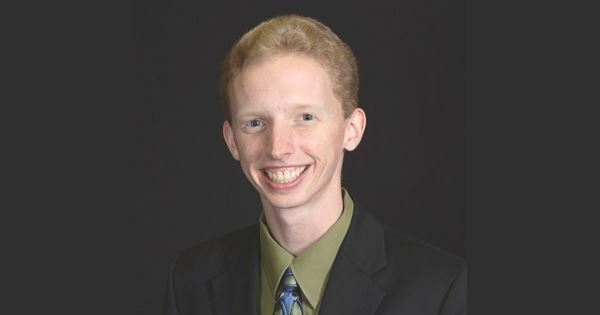 During the Advent season, we are reminded that there are highways to be paved in the wilderness, valleys to be lifted up, hills to be brought low, uneven ground to be leveled, and rough places to be made plain (Isaiah 40:3-4); there are people walking in darkness and living in lands of deep despair desperately seeking the Light of God’s love to shine on them (Isaiah 9:2). During Advent, in our expectant waiting and active preparation, we get to be the messengers who bear the Good News of God’s peace and salvation to the world (Isaiah 52:7). In short, the long work of planting Pecan Street Mission has been nothing other than faithfully preparing for the Good News of Emmanuel – God-with-Us. We have prepared our campus by building new space; we have prepared the city by celebrating with 130 downtown neighbors at sunrise on Easter morning; we have prepared the neighborhood by distributing 750 door hanger invitations; we have prepared our hearts by gathering monthly for Preview Worship; we have indeed been in the long season of active preparation, expectantly waiting for the new way God is being made flesh here in this community. So this Advent, as we prepare to meet Jesus, let us celebrate. Let us celebrate that once again God has entered into our messy everyday lives. Let us celebrate that God has moved into the neighborhood & pitched a tent in our backyard. Let us celebrate that God’s light is breaking into the darkness all around us, and people are coming to know God’s love in new ways. Let us celebrate the work God has done in planting Pecan Street Mission – let us celebrate all the work God will continue to do. 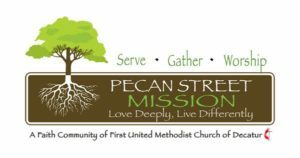 This Advent season, come celebrate with us on Sunday mornings at 10:45 a.m. in the Methodist Activity Center on the campus of FUMC Decatur as we launch Pecan Street Mission! No matter who you are, you belong here!